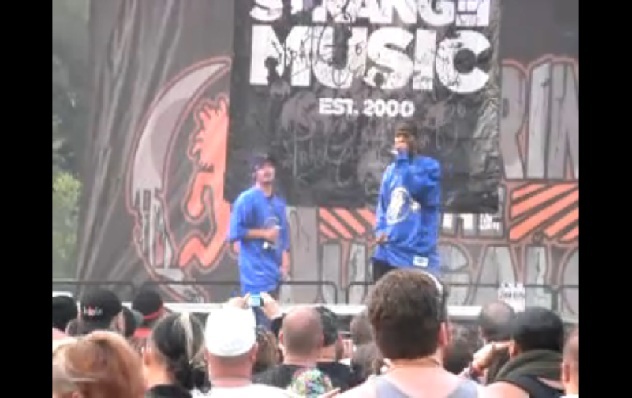 This past August, Brotha Lynch Hung (along with the rest of Strange) was invited to perform at the 11th annual Gathering of The Juggalos. Among his hits from Dinner and a Movie, Lynch rocked the crowd with the almost symphonic “D.O.A.” In this video, Lynch shows the Juggalos just what it takes to be a Horrorcore legend. Watch here or scroll below for the video.